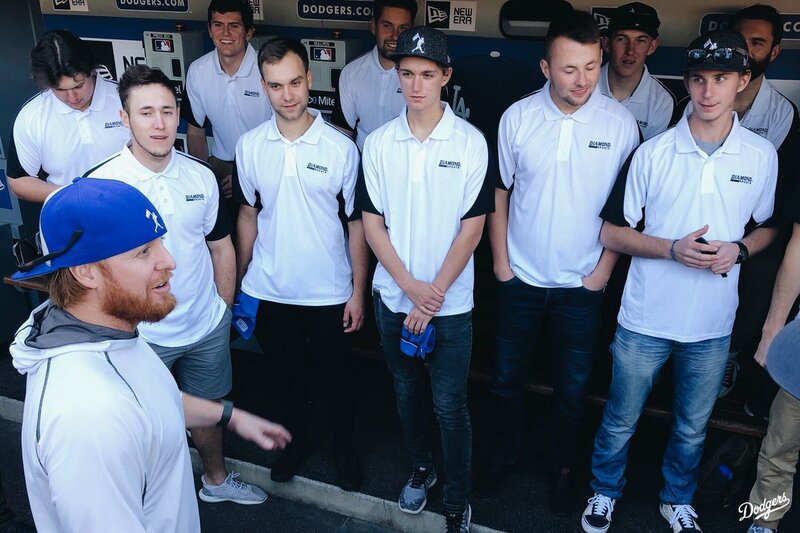 Not only is Justin Turner our star third baseman, he's also an international ambassador for the team. He is seen above providing a personal tour of Dodger Stadium to the Polish National Baseball team. Photo above via @Dodgers on twitter. This Day in Dodgers History: In 1940 the Brooklyn Dodgers traded John Pintar (minors), Gus Mancuso and $65,000 to the St. Louis Cardinals for soon-to-be All-Star catcher Mickey Owen. In 1941 the Dodgers traded Tony Giuliani and Van Lingle Mungo to the Minneapolis Minors of the American Association for pitcher Joe Hatten. In 1958 the Dodgers traded Gino Cimoli to the St. Louis Cardinals for former "Rookie of the Year" winner Wally Moon and Phil Paine. In 1979 the Dodgers signed outfield free agent Jay Johnstone to a two-year $300,000 contract. In 1988 the Dodgers traded Juan Bell, Brian Holton and Ken Howell to the Baltimore Orioles for Eddie Murray. In 2002 the Dodgers traded Mark Grudzielanek and Eric Karros to the Chicago Cubs for Chad Hermansen and Todd Hundley. I guess it's official. The Dodgers are making a play for Bryce Harper's services. Per Tim Brown and Jeff Passan at Yahoo Sports; "Sources: After landing LeBron, Magic Johnson travels with Dodgers officials to court Bryce Harper." Not five months ago, in his role as president of basketball operations for the Los Angeles Lakers, Magic Johnson led the recruitment and signing of LeBron James, perhaps altering the course of that franchise, definitely drawing a star to a city that breathes them. Recently, according to sources, Johnson and other Dodgers officials traveled to Las Vegas to meet with Harper. Via Ron Cervenka at Think Blue LA; "Quakes join Cal League in fire relief efforts." The California League boasts eight teams located throughout the state: San Jose, Stockton, Modesto, Visalia, Lancaster, San Bernardino, Rancho Cucamonga, and Lake Elsinore. Each team will be producing their individually logoed cap with a firefighter theme, produced by Cotapaxi, a custom design and manufacturing corporation located in Commerce, California. These custom caps will only be available for a limited time from each team and can be purchased for $20. Net proceeds from these sales will be donated to support the disaster relief efforts as we enter this holiday season.